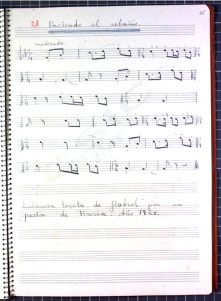 The Fons de Música Tradicional at the Institució Milà i Fontanals (CSIC-IMF) in Barcelona has more than 20.000 melodies, copied on paper, collected between 1944 and 1960 throughout Spain; most of them were compiled through the 65 folkloric missions and 62 notebooks presented to competitions organized by the Folklore Section of the former Instituto Español de Musicología of the CSIC, in which 47 researchers participated. Launched in 2015, Una colección de patrimonio musical español/Una col·lecció de patrimoni musical/A Spanish collection of traditional music heritage is an open-acces database comprising digitized materials of the music collected in the competitions and missions of Andalusia, Balearic Islands, Castile-La Mancha, the Castile and León region, Catalunya, Galicia, the Murcia region, and the Valencian community; more materials from these and other Spanish regions will be incorporated later. A Toile? Mon Dieu, que dit-elle? Dressmakers, do you use a toile? I only learned the word the other day – it’s a kind of dry-run garment that you make to ensure the pattern fits, before you make the garment in fabric that you would be seen dead wearing. This morning I made my toile out of old bed-linen. Dilys (my new dressmaking dummy) looked very fetching in it, apart from the sleeves not being attached. 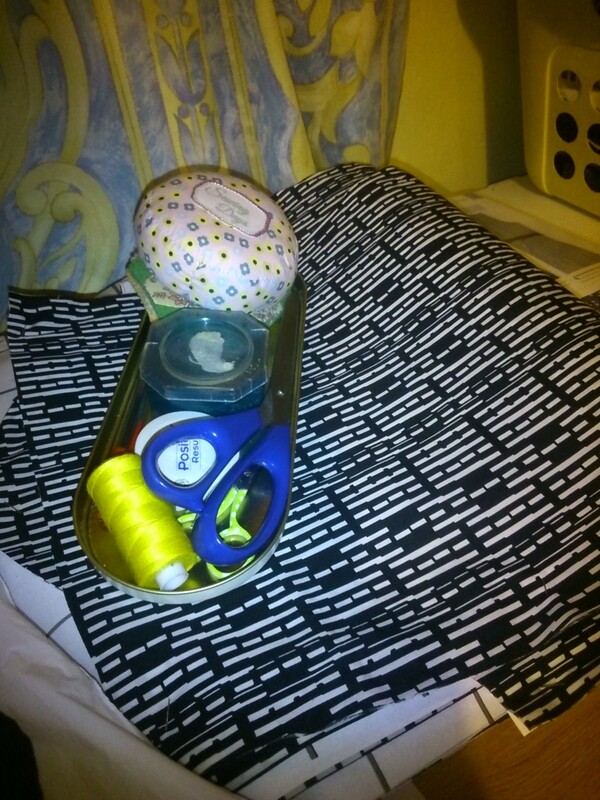 (They were too tight on me, so some re-engineering of the pattern was required! Dilys has no arms – she didn’t need the sleeves anyway.) My intention was simply to ensure that I’ve got Dilys’s measurements right, before launching into my Spring 2015 sewing spree. Working with Dilys is a new experience for me, but so was my attempt to scale up a dressmaking pattern out of an A4 book. One square = 5 cm, it said. Lesson 1: never try to draw your own graph paper then copy it. Lesson 3: As above … especially if there are nine differently coloured lines denoting different sizes! Lesson 4: Although, theoretically, enlarging on a photocopier should have been the easy answer, it turned out to be much trickier than it seemed. The first 200% enlargement wasn’t too bad, but working out which bits to enlarge for the second 200% enlargement was going to be complicated – on Friday, I gave up and went to Mandors for proper dressmaking graph paper at lunchtime instead. Anyway, here we are on a Sunday evening, and the toile-enveloped Dilys stands watching as I get to work on the nice black and white cotton fabric that will become my new dress. There’s only one problem that I can see – it looks spookily like a repeat of the Royal Conservatoire of Scotland’s logo! Now, why didn’t I notice that when I bought it? I wonder if my colleagues will notice when I turn up in it?